This August will see the return of the TipTop Family week after the success of last year. Ski racing, piste performance and on-piste fun are on offer to adults and youngsters alike. 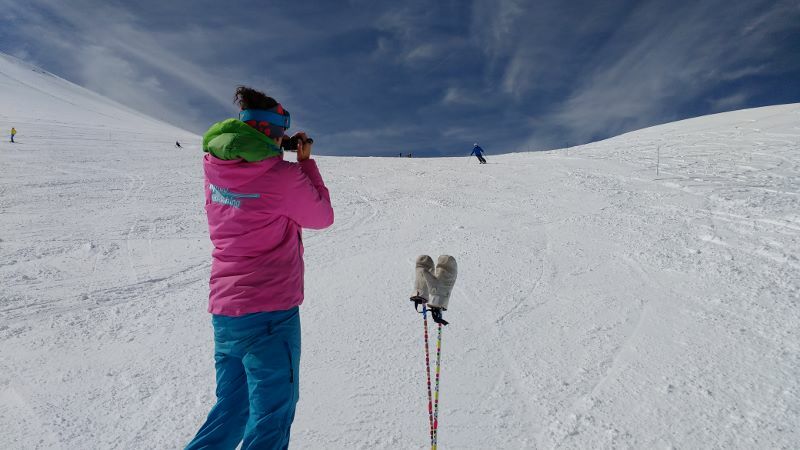 The week consists of concurrent courses for children and adults, running alongside each other on the Deux Alpes glacier. The adults focus on improving their skiing while the kids course is all about having fun. That said both groups had a lot of fun and both improved their skiing last year. With small group sizes, both groups can be flexible enough to meet everybody’s objectives. The adult group is pitched at good skiers looking for an introduction to ski racing whilst improving their high performance piste skiing. This includes ski instructors working towards BASI Levels 2 or 3 as well as good recreational skiers wanting to get the most out of their skiing. We plan to set slalom gates every day, but will also work outside the gates to build on the fundamentals of solid skiing technique. Drills, exercises, individual feedback and video analysis will all be used to maximise individual performance. The young skiers group will be all about learning through having fun, with the glacier as our high-altitude playground. Freestyle, ski racing and on-piste skiing are all available, as well as possibilities for moguls and off-piste if conditions allow. Having the race course already set for the adult group means that we will be able to use it at any time throughout the week. One big difference from a winter skiing course is that the afternoons in the valley give us plenty of opportunities for after skiing activities. We will put in place a full programme to fill the afternoons throughout the week. Please note that there may be additional costs for these activities. The instructors will accompany all afternoon activities but the responsibility will lie with the parents/employed relevant instructor for that particular activity. Last year the programme included canoeing, swimming, summer luge and trampolining. The cost of the week is £300 per person for five mornings of ski tuition (four hours per day).